Command and Colours- Great War Kickstarter. Hopefully it will be a game I can play with my Nephews when they get a little older. 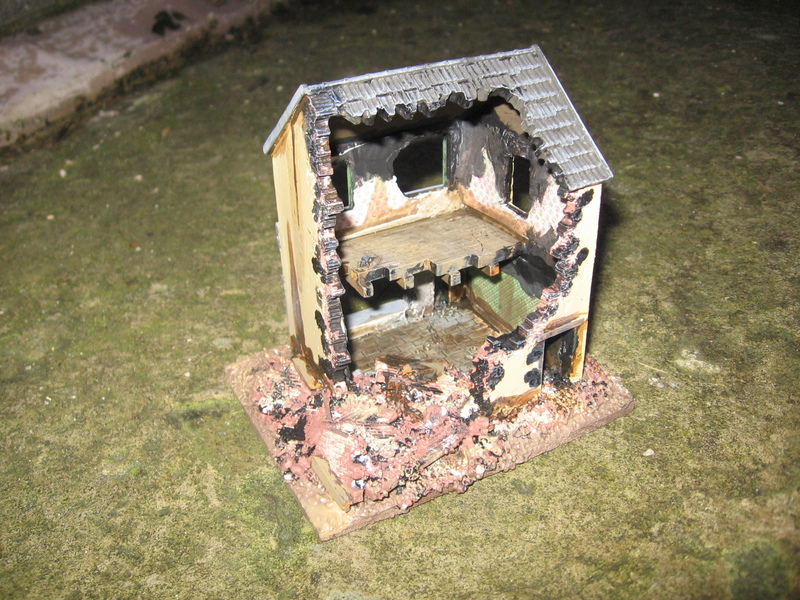 The last bits of scenery…? 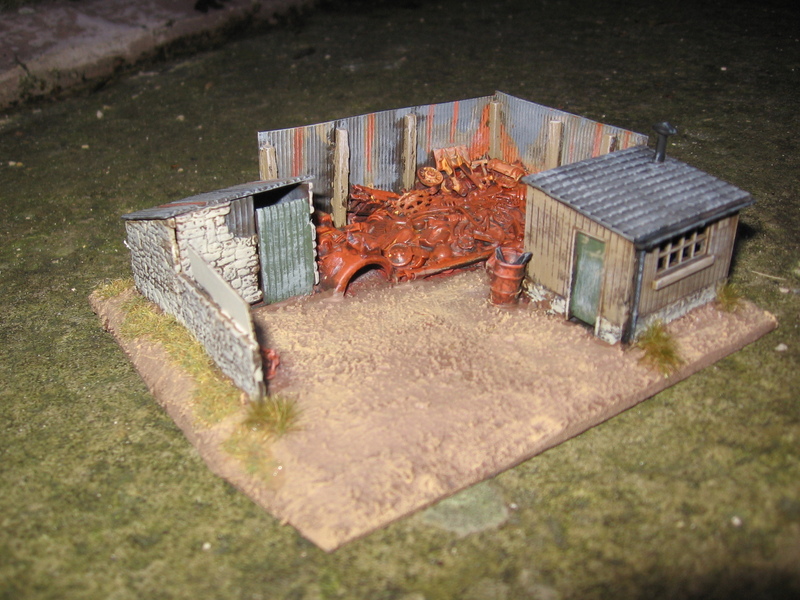 Whilst I’ll never say never the shed is rather full so space is at a premium (and I’ll have to wait for some better weather before I can have another big tidy up) but I’ve no plans for much more 20mm terrain other than the prison and a few ruins for my desert set up. 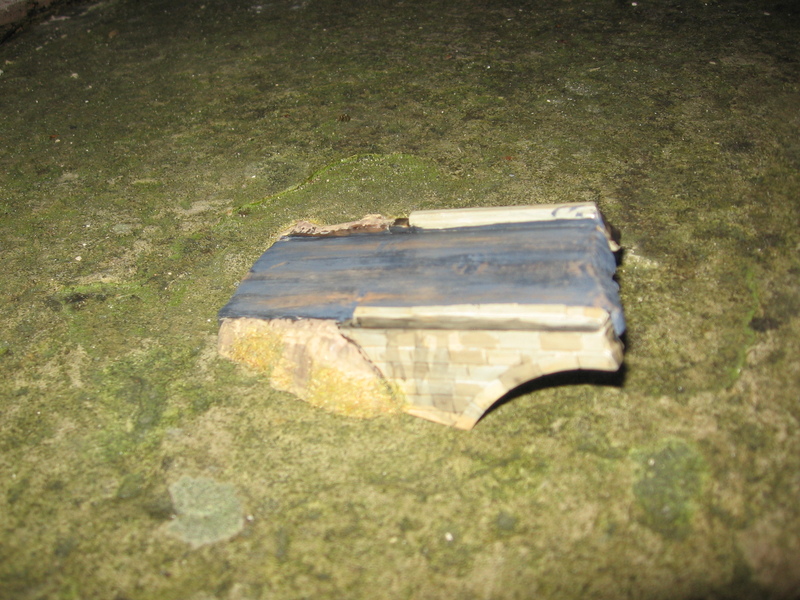 The ruined bridge section from the Matchbox/ Revell Firefly kit. 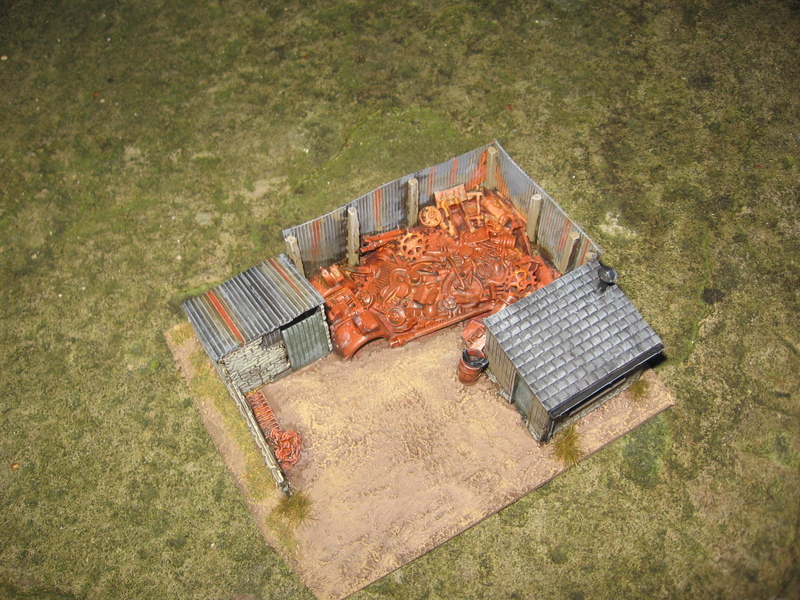 A scrap yard made from a couple of railway modellers kits. 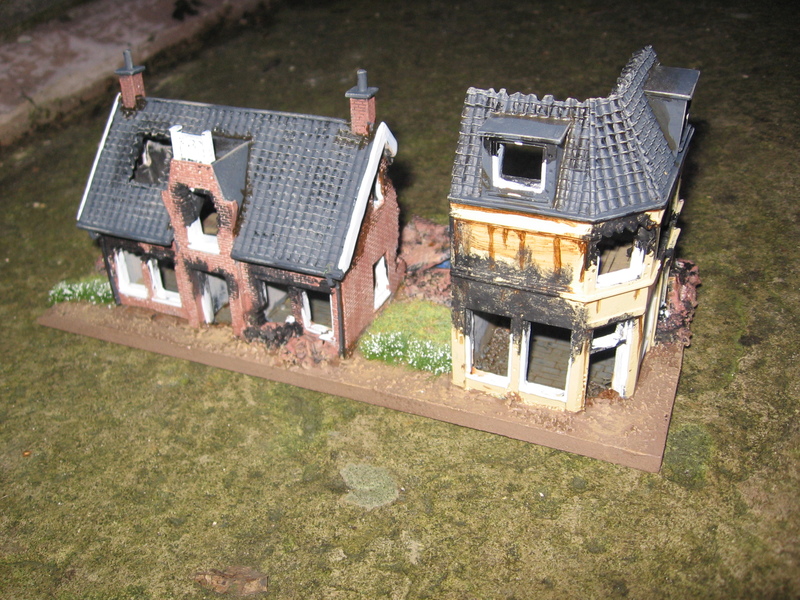 A pair of Dutch style ruins from Airfix. 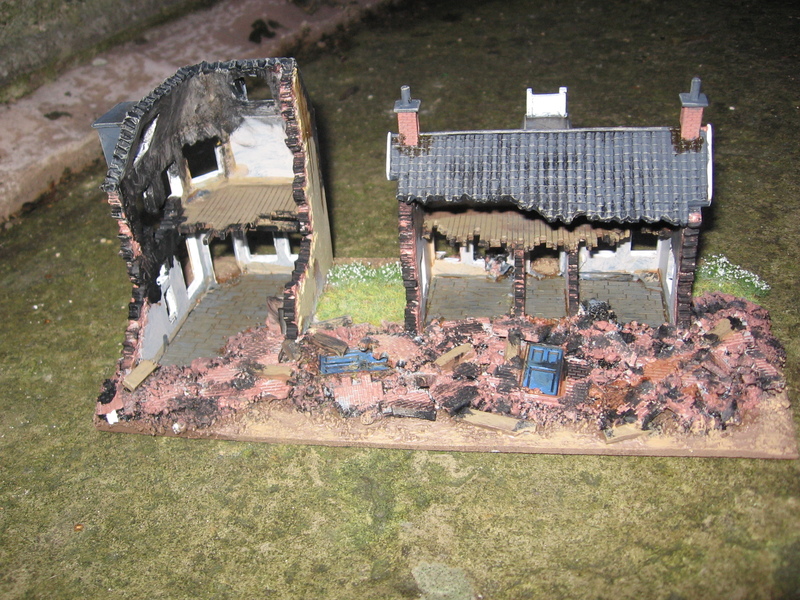 The rubble and the back came from a mixture of Linka casts and cat litter with a few matchsticks too. 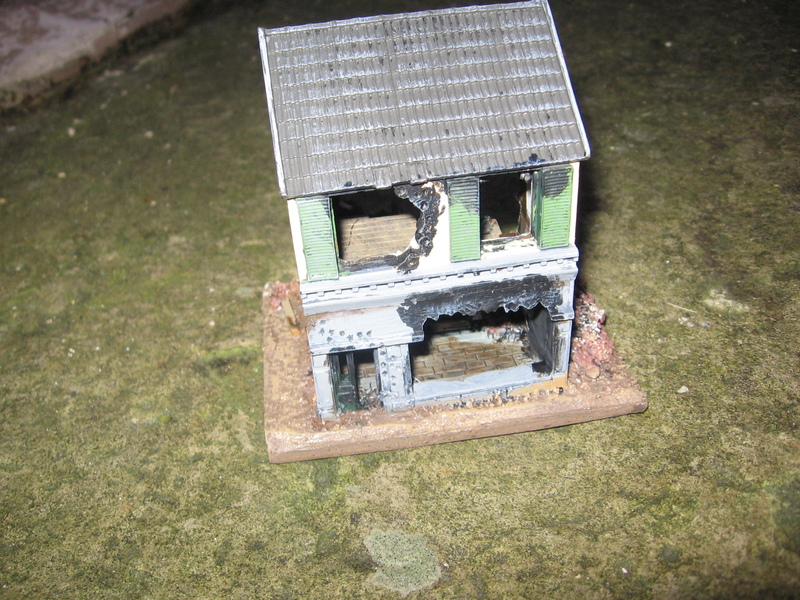 A French style cafe or shop, again from Airfix. The rubbles was made in the same way as for the Dutch pair.